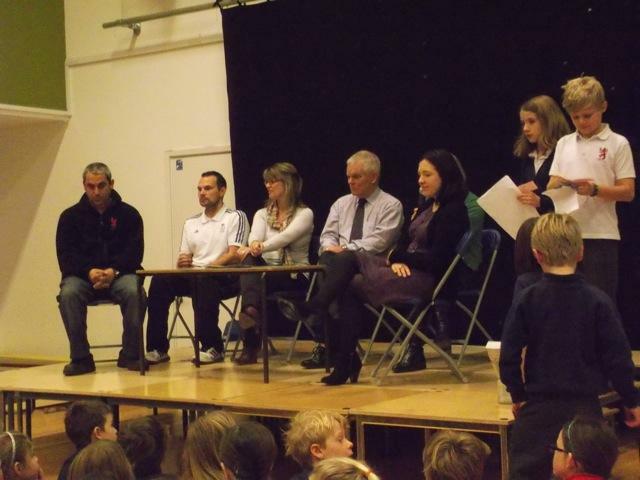 A few weeks ago it was question time at Collis Primary School we had Mr Butterfield, Mrs Way , Mr Loizos, Raul the school caretaker, Miss Kay and a governor, Denise Heart. The children were asked to write questions to the panel and then they were all put in a box and were chosen at random. He said: I’m sorry but no. Many of the other questions were also great questions but those questions were the ones that stood out.